Hi and welcome back to my blog. 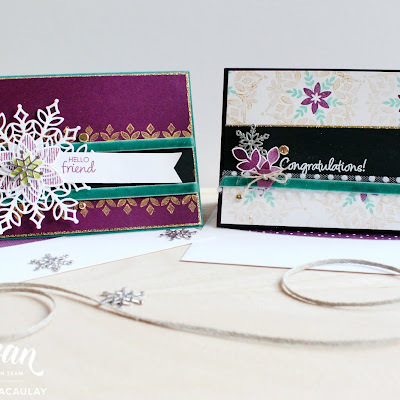 I am jumping in from a long hiatus and posting my first post as a newly joined up Stampin' Up demonstrator. I have been on the team for about 6-8 weeks now and really enjoying it. I will have some links at the bottom of this post if you want to check out my blog or Facebook page. 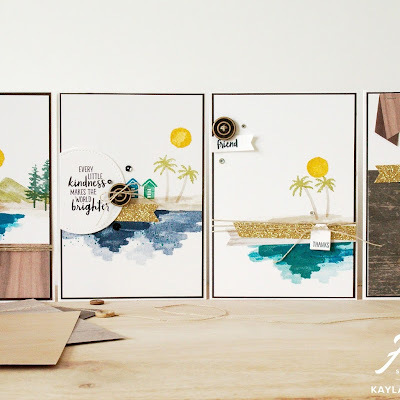 I wanted to dip my feet in the deep end and have a go at the weekly highlights that the lovely Kylie from the team I am in hosts. Every week there are team highlights that showcase designs from all of her team. You then get a chance to vote for your favourites! I was really inspired to create a card when I heard about this week's theme. 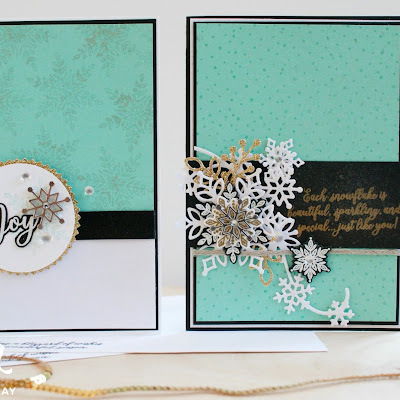 The theme is inspired by creating a card to cheer someone up. It was inspired by Petra Tailor who experienced suicide within her family and that is a topic that is very close to my heart for a number of reasons, plus what better excuse to create a card and to cheer someone up? I love how the umbrella from the Weather Together set turned out. I used the solid outline with the polka dots to fill in. I have stamped the solid outside in Daffodil Delight and the polka dots in So Saffron. I have completed this with an umbrella stick in Dapper Denim. I then used my gorgeous clear Wink of Stella pen to create a gorgeous shimmer over those polka dots. I have accented the background by using the coordinating Umbrella Weather Thinlets set to cut out some raindrops in my Watercolour Card Stock (these were also super handy for cutting out the umbrella and clouds with ease). 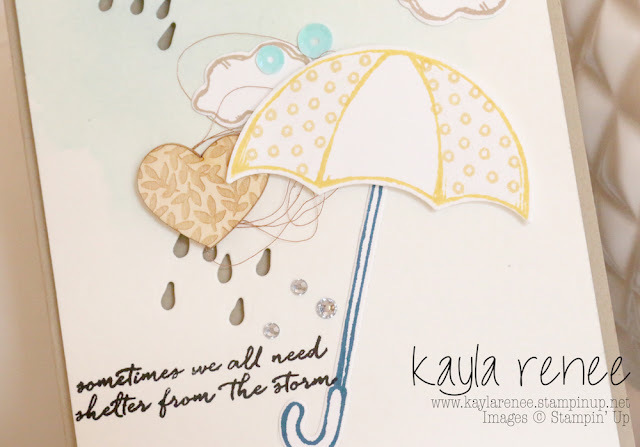 I have then used a sentiment from the Weather Together stamp set which I just love, "Sometimes we all need shelter from the storm" and I have stamped this in Basic Black. Lastly to embellish I have used some Copper Metallic Thread, some Rhinestones and a wood veneer heart from the Hello Lovely Project Life Accessory Pack. Here's a close up of the top half of the card. I used two different inks to create this water coloured sky look with my Aqua Painters. I have used Soft Sky and Pool Party. I also used some of those gorgeous icy blue sequins from the Hello Lovely Project Life Accessory Pack. Don't think they are just limited to Project Life pages! Lastly I created these super cute clouds using the Weather Together stamp set and stamped in Crumb Cake. This is my new favourite ink colour! Something I have loved doing lately is decorating the insides of my cards. I have never been much of a card maker let alone a person to consider decorating the inside of a card. Now I could easily spend one hour or more on a card and so I feel the inside deserves some attention too! I stamped one of the gorgeous sentiments from the Weather Together set in Crumb Cake. 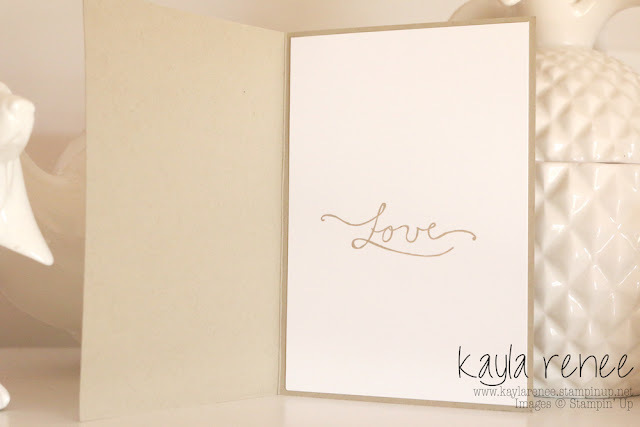 I stamped this on a matte of Whisper White card stock. Here's a link back to the blog where you can see everyone's entries in this week's blog highlight. You can find my Stampin' Up shop here. and here is my YouTube. I really like your card. There's so much subtle detail.